Ali Razghandi was born in 1987 in Sabzevar, Iran. 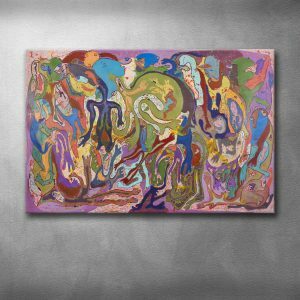 He started painting on his own and without receiving any education after he had obtained the associate’s degree in graphic design in 2004, and started his professional job in 2008. 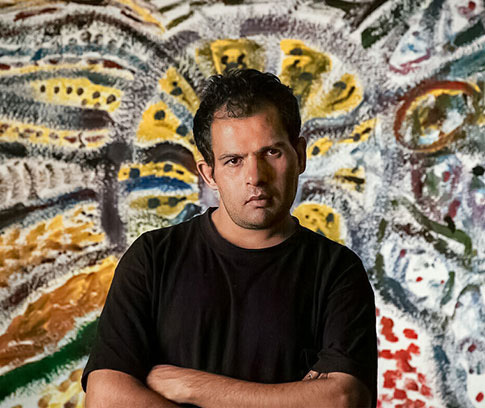 He has participated in several group and individual exhibitions having been held both inside and outside Iran since 2011 and won the Magic of Persia award in 2018. 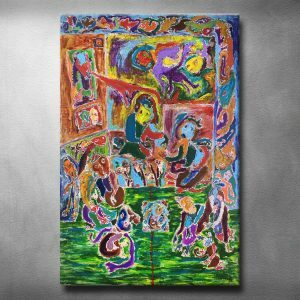 Ali Razghandi’s paintings are mental and figurative paintings about life and the surrounding environment and in compensation for human suffering. Razghandi displays his painting world using the acrylic paint, a combination of materials and a felt tip pen. 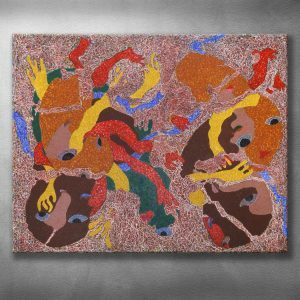 He has been able to express his perception of the universe using a primitive method in his unique compositions and influence his audience, and this (often bitter) influence is due to the direct manifestation of the unconscious and the author’s experience in painting. Most of Razgandi’s artworks arouse a kind of panic, heartache and suffering for the viewer, and honestly reflect the painter’s world in the modern “growing” art market. Ali Razghandi’s paintings may be perceived separately and at the first glance to have been made unskillfully, but a deeper look at his further works and a reflection on how he transfers his perception of the world arouses deep feelings in the audience, and this is what an artist is expected to do regardless of his or her skill and technique.